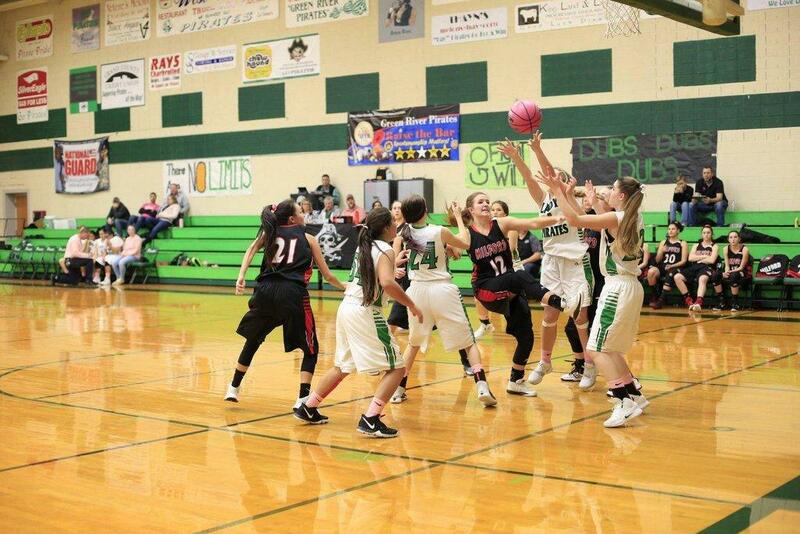 On Thursday evening, the Green River Lady Pirates played against the Monticello Buckaroos and took a loss. Green River started the game trailing only three points behind Monticello after the first quarter. By halftime, Monticello pulled ahead, scoring 12 more points and bringing the score to 24-13 in the Buckaroos’ favor. In the final quarter, Green River stepped up its game, scoring 16 points, but it was not enough as Monticello took the game, 49-34. Monticello’s top scorer was Tymbr Black with 13 points. Talynn Lovato led Green River with 24 points in the matchup. Along with the game that night, the school hosted its annual senior night, honoring the Lady Pirates that will graduate this year. The Lady Pirates will play again on Friday, Feb. 8 at Tabiona.